Discussion in 'XJ Technical Chat' started by TurboDys, Nov 22, 2015.
long story long. I recently picked up an 82 xj650 seca turbo. It was in fairly, good shape for sitting in a garage for 20 plus years. I wanted something I could tinker with and ride occasionally (I ride all year in texas). The previous owner started to restore it but ran out of interest/wife wanted it gone. Anyway, I need to rebuild the carbs (they've never been off) but my newbie level skills combined with forced induction engine is proving too much. I got a manual but it doesn't say how to remove the carbs. Looking at it, I'm not sure if I have to remove the surge tank first or what. The shade tree mechanics I called won't even touch it. When I got it, it fired up idled rough then started dumping gas out of the carbs. After being puzzled on how to remove the carbs I tried the "no removal" fixes. Flushed the lines, checked the peatcock, drained the bowls, seafoam, cleaned tank, etc. That got it to stop leaking gas from bowls now it's leaking into the oil. Carbs right? 1. If everything but the carbs are good was it a good buy at $200? 2. (5) Shops quoted me an avg $600 for the carb rebuild. Should I sell it for cost and get something more my level, learn to do it myself, or pay the shop? if the shop will get it running thats up to you. you will still have to check/adjust the valve shims , simple enough to do . Yes, but more like this. XJ550H, rocs82650 and Stumplifter like this. XJ550H, has given you a whole lot to digest. Read through it, if you are tingling with anticipation after reading all of it then jump in and DO IT! By do it I mean, be thankful the shade trees wouldn't touch it and that the local guy wants $600 for carbs (I think Dave does it for half that). . . . I digress. You have happened upon the holy grail of websites, do not adjust your TV, this is the place to learn how to do all of your own wrenching (and that mysterious 'lectricity stuff). It can be intimidating, but take small bites and chew carefully. When I first started here I knew that a motorcycle has two wheels; now I know that it has two wheels and a gas tank (and how to check/adjust valves, refurbish starter, replace cables, remove and rebuild carbs, rebuild brakes all around, replace shocks, and even replace turn signal bulbs, etc. etc.). You will be amazed at how brilliant and patient some of the folk are here. Welcome aboard . . .
OR just give in - I will give you $205 for that bike. Jetfixer and XJ550H like this. $200 is a fantastic price. I paid $250 in similar condition. But you'll likely spend another $1500-$2000 in parts and you'll need to do the labor yourself, but it will be a fantastic bike. Pull the carbs and rebuild them properly. Send me a PM for the manual. I took mine down to the frame and rebuilt it all back up. The turbocharger will likely need a rebuild too. If it's rebuildable, no sense it running it and having it fall apart later and not be rebuildable. $300-$400 for a rebuild is a lot cheaper than sourcing another unit. They were only made for this application. You'll need to also do a lot of brake and suspension work, and there are extra electrical sensors on it so you'll really want to clean the entire loom up. Turbos really aren't as easy to deal with as the normally aspirated XJs, but they are worth saving and if you take your time and do it right it'll be well worth it. You got a great deal. I paid $250 for mine in THIS condition....probably paid too much, but I'm not afraid to take a lot of time. Yeah, if you want to MAKE money on the turbo, sell it for any amount of money over what you paid for it, and you'll make a PROFIT! Put any money into the Turbo and Carbs, then electrical, suspension, brakes, tires, bearings, etc and you definitely won't. Turbos are a lot of work. I love mine, had a 750 seca also, and felt like I needed to sell one and the Turbo stayed even tho it wasn't nearly as nice and done up. You did just fine. Especially if the compression is good. 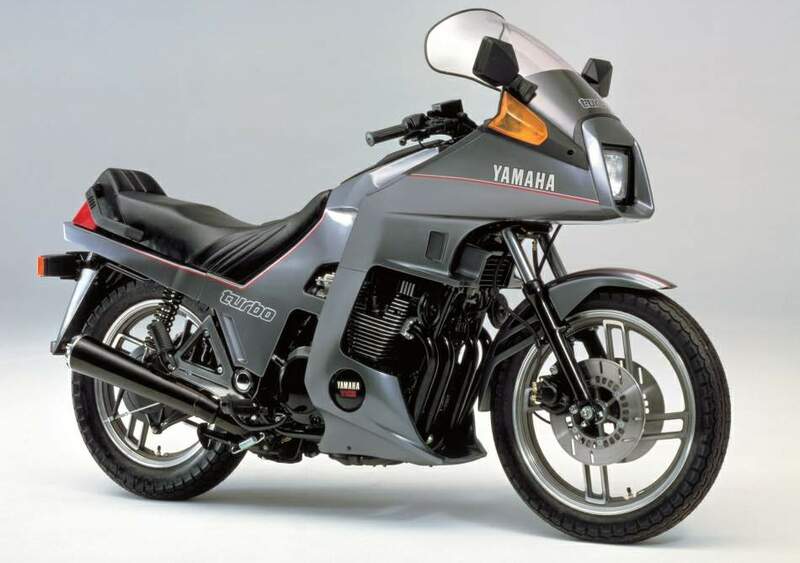 I bought a kawasaki 500 (rough) with the yam 650 turbo frame and engine thrown in for £300. I don't think it was much of a bargain, but who knows where it might lead. Well i say you got a good deal being the going price seems to be im fair to good condition is around $2500.00 now i didnt pay any cash for mine i repaired the ac in the s-10 pickup that was taking it across the scales but he was talking $100.00 . And forgot the part about it was in three boxes and two big coffee cans but in a week it was running . The petcock on the tank is still no good your is probably the same . On the carbs yes the surge tank does come off after the air filter box is removed and the pipe that comes of the compressor on the lower right hand side has to come off and best i remember you just have clamps on the surge tank side and the engine side of the carbs and ofcourse all the fuel lines and i think you want to pull the electric fuel pump for easier access to the throtle and enriching cable / choke cable and they roll down and out they come . Now i did not buy any kits forbthe carbs it would have beem nice to have kits but i got them.working well . The only mistake i make was where the pipes tie the carbs together to deliver fuel to each carb . They have o rings on the ends and they are not really o rings they are wide and thick. Thats where the kits would have beem nice . However i did have several large o ring assortmets and was able to find some that i doubled up on each end and not had any more leaks . Its a cool bike if i were you i would keep it .. oh be really careful not to let anyting into the inlet or outlet of the turbo when the airfilter is off its a dangerous time so plug those up and enjoy . Hey im in okla city your neighbor to the north if you have any questions about anything on that bike you can call me David 405-305-8111. I did find out that a kid in highschool has a 82 also i think we are the only ones in the city. Its kinda cool to haveva one of a kind bike unless you rob banks then probably not a good thing lol.